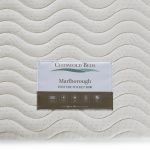 Our Marlborough mattress range boasts comfort and luxury fit for a king! 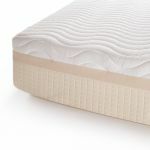 With high quality layers of pocket springs, high resilience foam, and a special open cell foam cooling layer, the Marlborough 3000 is a luxurious choice for your bedroom. 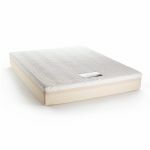 The 3000 pocket springs offer individual support across the entire mattress surface, with no noise, sagging, or roll together in the night. Encased in a high resilience foam layer, the mattress boasts edge to edge comfort, and is topped by a unique cooling foam layer. 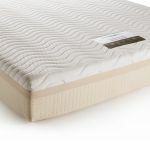 The open cell technology of this top layer allows for increased air circulation of the mattress surface, helping to regulate sleeping temperature through capillary action. Finished with a sumptuous quilted knit cover, you'll be sleeping soundly in no time with this king-size mattress.